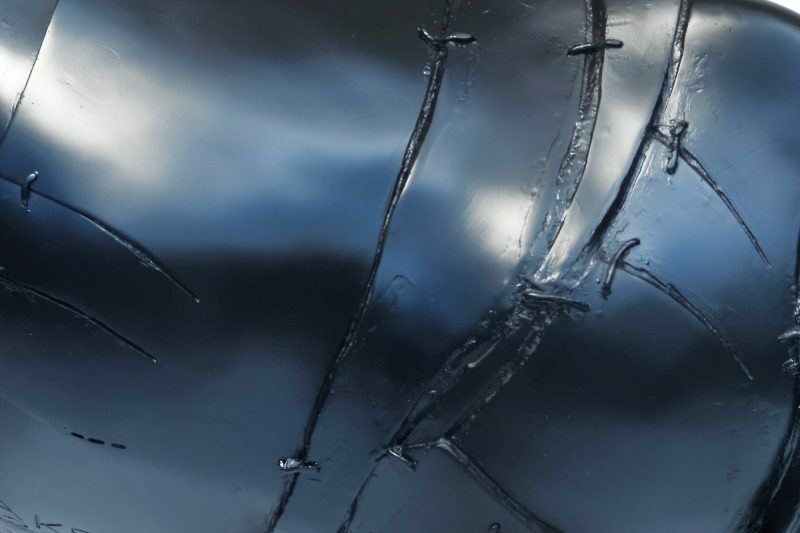 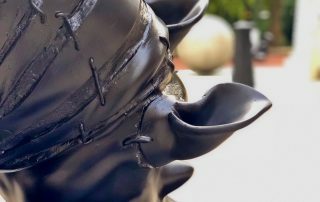 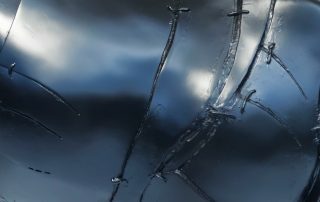 Known to purposefully damage his work by drilling, cutting and even shooting it, sculptor and painter Charming Baker intentionally puts in to question the preciousness of art and the definition of its beauty. 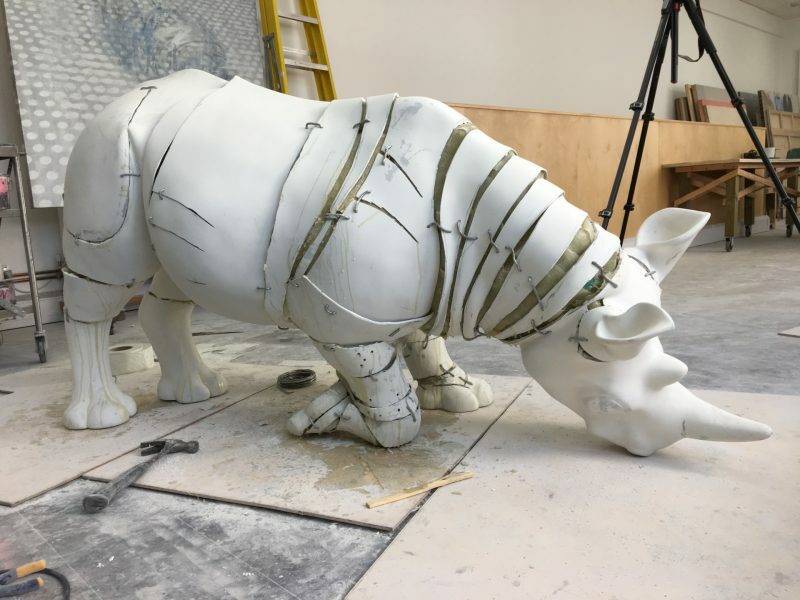 Not content with just painting the model given to him, Charming Baker has sawn it apart and put it back together completely altering its stature. 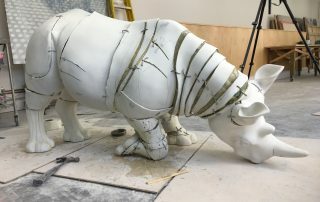 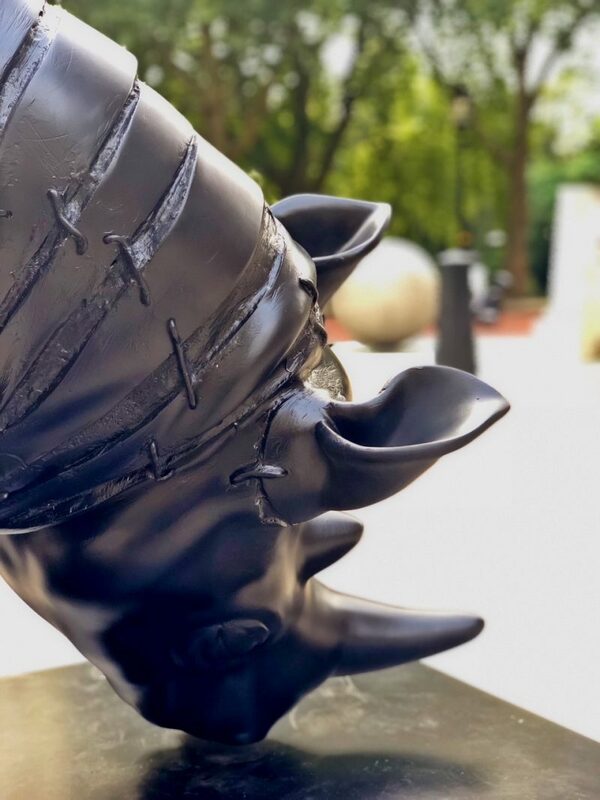 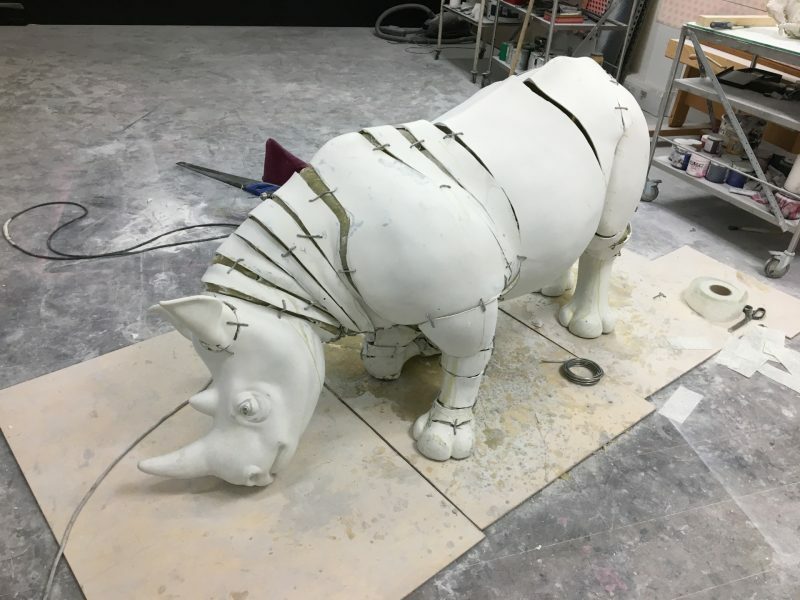 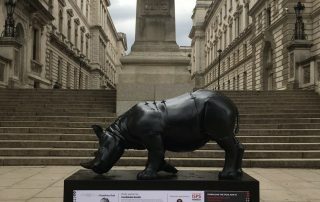 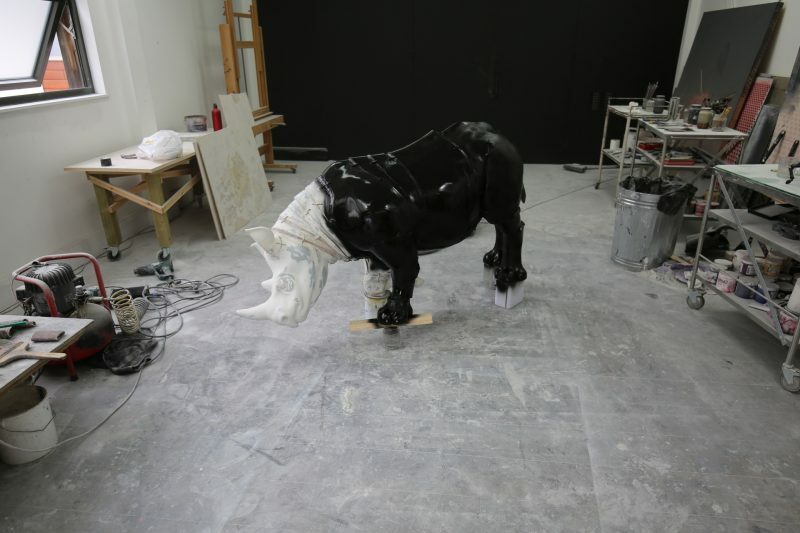 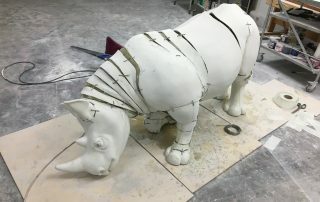 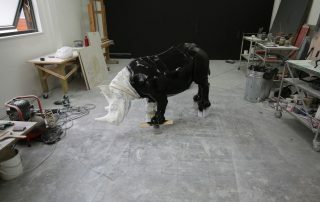 Falling to one knee, head down, Baker’s rhino is strangely similar to the mummified pose of an extinct woolly rhino displayed in London’s National History Museum. 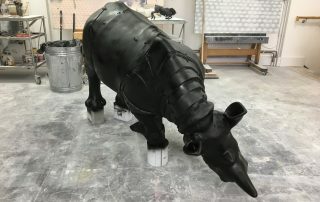 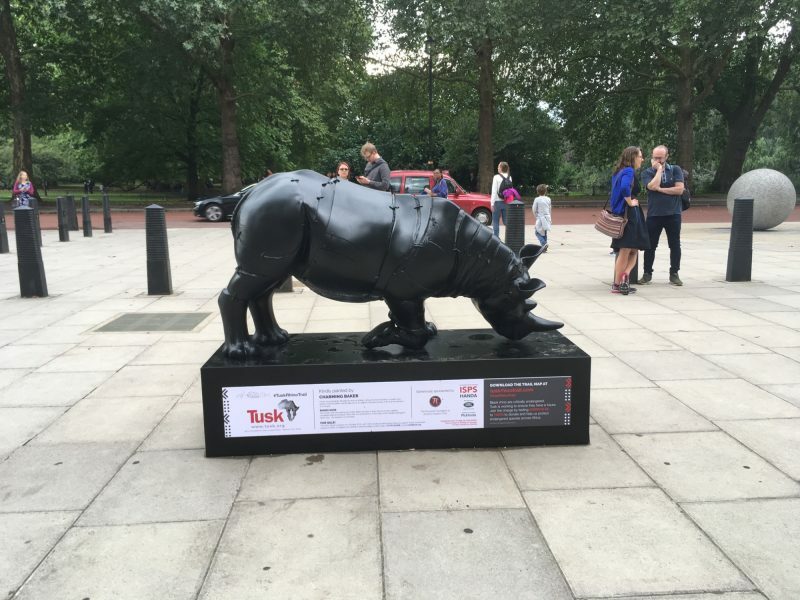 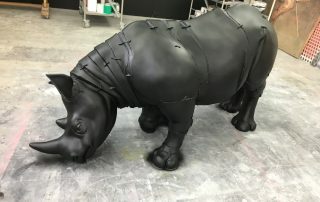 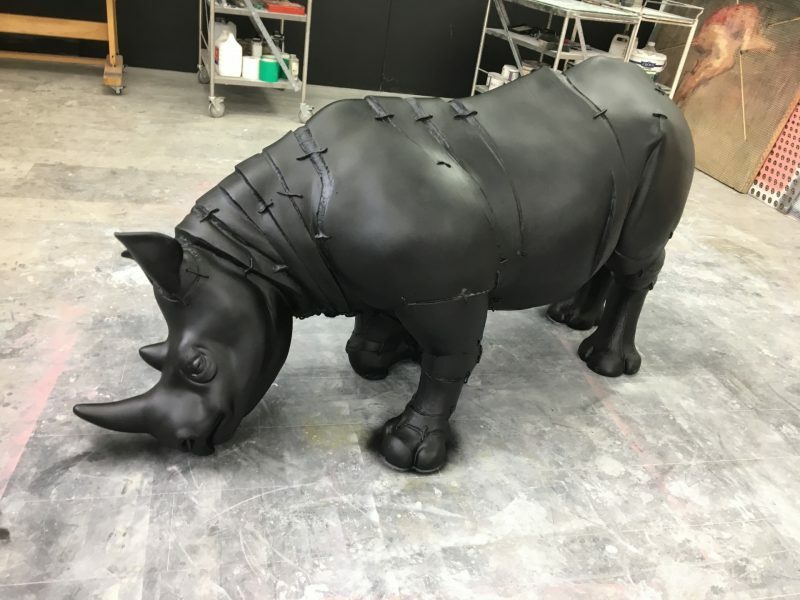 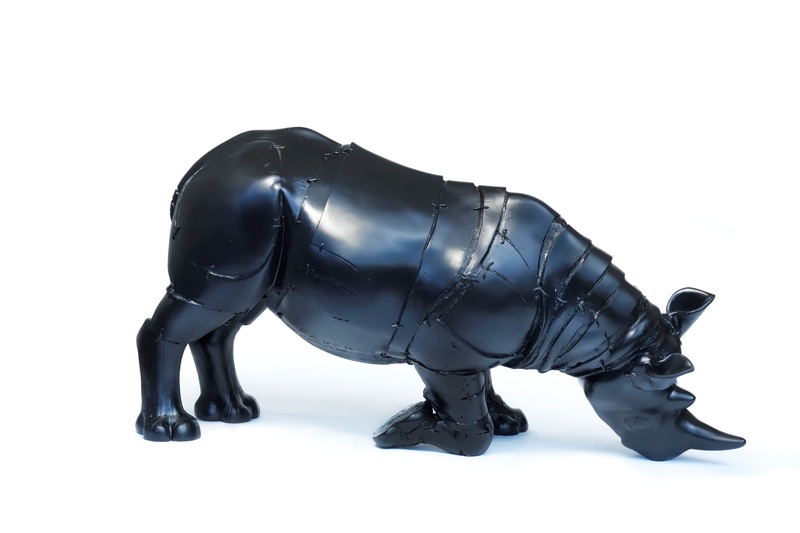 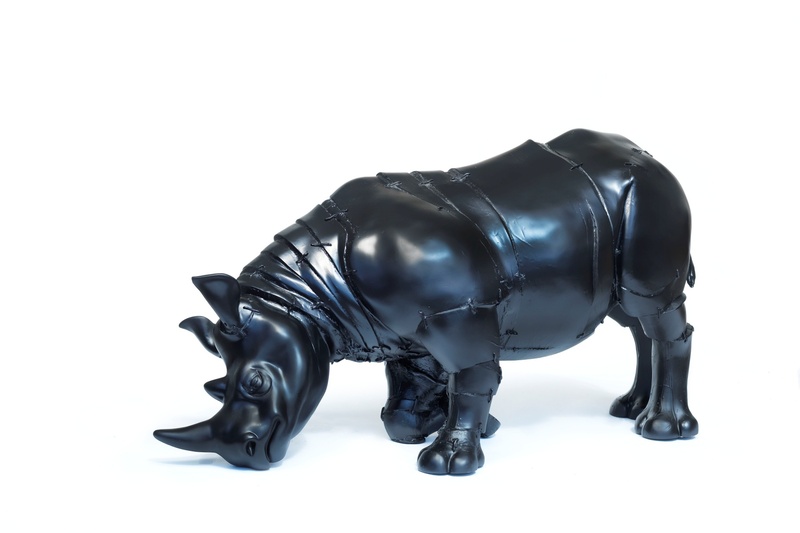 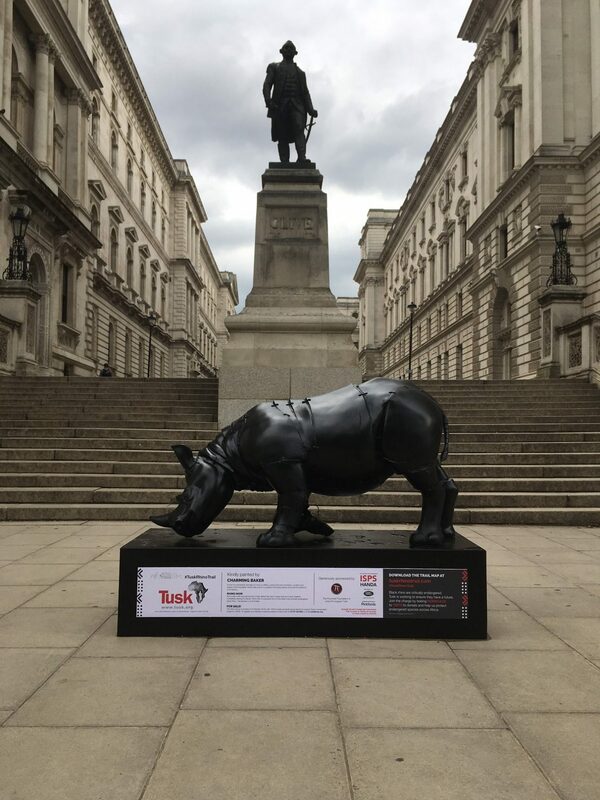 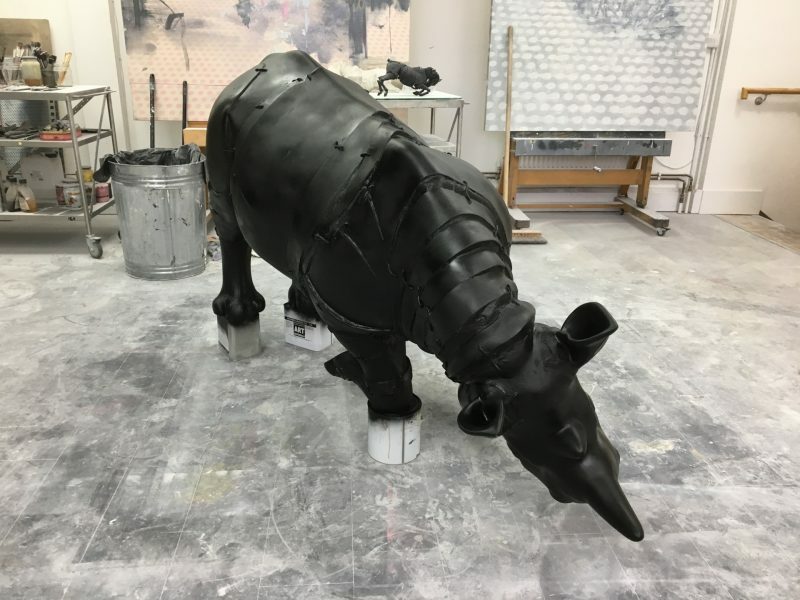 With a nod to the fatalistic film genre, Rhino Noir is a physical form of the state of the critically endangered black rhino species. 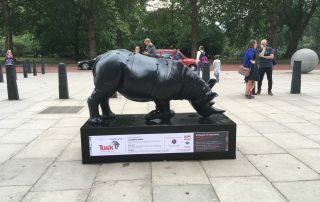  Hovering just above 5000 worldwide, the black rhino population is on its knees.